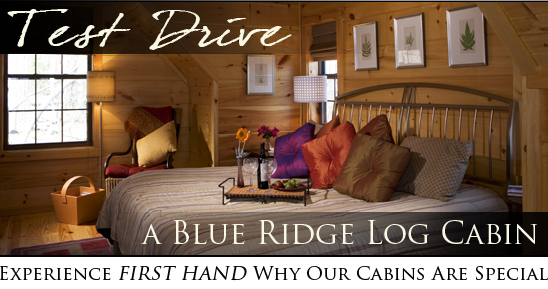 If you are considering a Blue Ridge Log Cabin and would like to take one for a “test drive” here is the best way. We have compiled a list of our past customers that turned cabin ownership into a vacation rental business. 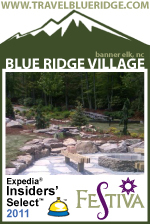 The links below represent Blue Ridge Log Cabins that are available for rent so you can get a first hand look and feel of the quality of our cabins. A decision to build a log cabin is one most people like to sleep on, but this is one you can actually sleep in! The Buena Vista cabin is the Pisgah 4 from our Pigah Series. 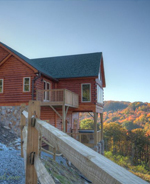 This is a newly-constructed upscale mountain cabin set atop a private ridge near Banner Elk, NC. The cabin offers stunning year-round views from the numerous open-air decks as well as a hot tub, game room with pool table, bunk room with Nintendo Wii, flat panel TVs throughout the house with DVD and BluRay Players, and much more! This getaway features sleeping accomodations for up to (12) people, (4) bedrooms, (3.5) baths, and pets are allowed. Use the virtual walkthrough below to preview the cabin and start planning your get-away! Escape to High Rock Rentals, an enchanted retreat where luxury and nature go hand in hand. Our 30-acre, family-owned retreat features six majestic mountain homes “designed with views in mind.” Each stunning home is much more than a log cabin–it’s an elegant log home with luxury appointments seldom found in such blissfully secluded landscapes. Nestled at over 3,500 feet, High Rock Rentals offers accommodations with sweeping panoramic views of Mt. Mitchell and the Blue Ridge Mountains, lush mountain timbers, a picturesque pond and a bold rushing creek. Now is the perfect time to plan your getaway… and soon you’ll be enjoying spectacular views, where laurel and rhododendron thickets whisper in the breeze and nature casts her magical spell. Come elevate your spirits, reconnect with friends and family, and create memories that will last for generations. Combining World Class Whitewater Rafting and Thrilling Adventure Activities, ACE Adventure Resort is one of America’s Best Outdoor Vacation Destinations. 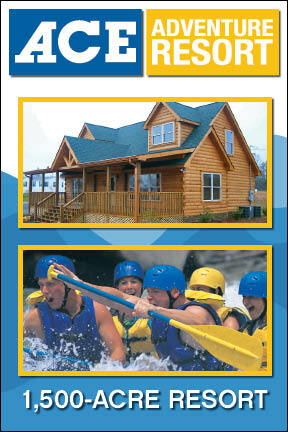 Located in the New River Gorge National River in Wild and Wonderful West Virginia, our 1,500-acre adventure headquarters accommodate a plethora of outdoor sports and activities. Ace’s Deluxe lodging and Wilderness Cabin Rentals guarantee, that just because you are on a West Virginia outdoor adventure, doesn’t mean you have to rough-it. 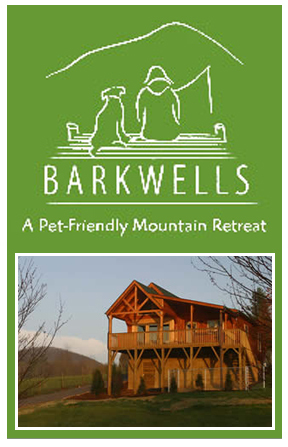 These pet-friendly luxury vacation cabins located in the heart of the beautiful western North Carolina mountains have all the comforts of home, along with special luxuries for you and your dog. You can run your dog all over our meadows and into the pond. You can run yourself to Asheville, Hendersonville, Brevard, the Biltmore estate or the Blue Ridge Parkway in just 20 minutes. Or, you can just sit still – in your hot tub, on the porch overlooking the pond or in front of a cozy fire. These pet-friendly vacation rentals in the heart of the beautiful Blue Ridge Mountains of Western North Carolina are located close to all the fun and far away from every day. A perfect place to get away from the everyday grind, Blue Ridge Village is set in the woods of Banner Elk where you can unwind, relax and breathe in the clean mountain air. Whether you are a hiker, sightseer or shopper, you will have plenty to do around the resort. The scenic backdrop of the Pisgah National Forest is a playground for nature lovers of all types. For skiing enthusiasts, there are several ski slopes just minutes away including Sugar Mountain and Hawksnest Golf & Ski resort. Hikers can enjoy the breathtaking views from Grandfather Mountain and Blowing Rock. Canoers and kayakers can take a leisurely float down one of the nearby rivers, or can test their skills with level III rapids. If you’re looking for local culture, drive on in to Boone, N.C., for a taste of this vibrant college town’s nightlife, restaurants and art. No matter how you spend your time in this Western North Carolina retreat, your comfortable villa will be calling you home time and time again.